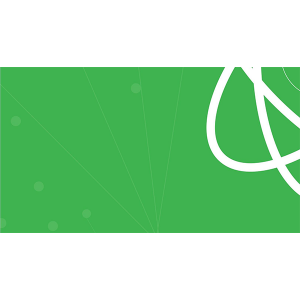 The 3Pillar office in Cluj-Napoca, Romania will be hosting a technical workshop titled “Redux your React!” on Monday, February 22 from 4:00 pm to 7:30 pm EET. The goal of the workshop is to lend some clarity to the React library, specifically in how to utilize it as a framework in tandem with the Flux pattern of Redux. React created a lot of buzz in the past year and gained huge traction since its release. Despite being easy to adopt and having a well-defined data flow, React is only a library, meaning there needs to be more structure for mid- and large-sized applications. Instead, designers need to be able to correctly reason about data and its flow, as well as model changes, minimize side effects, increase maintainability, decrease coupling, and prepare for testability. These traits usually come in the form of a framework, which is where Redux shines. As a variation of the Flux pattern, Redux proposes a simplified model of the application’s state and a very clear, functional way to interact with it. During the workshop, participants will explore how React pairs with Redux by building a small application. There will be hands-on coding and live examples. All participants will talk about each application built, explore the advantages and shortcomings of each, and become accustomed to the best patterns and practices to use when building React/Redux applications. The workshop will be led by Vlad Zelinschi, who is a UI Technical Lead at 3Pillar Global with a strong passion for the latest technologies. The event will be held in Cluj-Napoca at the 3Pillar Global office on Bulevardul 21 Decembrie 1989. For more information on the event, including how to register to attend, visit the official EventBrite page.